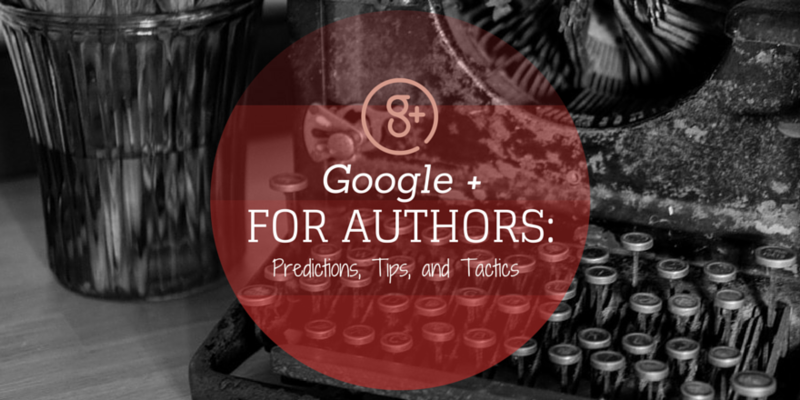 For a couple of years, journalists, writers, bloggers and marketers built up their Google+ profile and presence on the Web due to Google’s Authorship feature, which allowed popular posts to appear in search results along with the author’s photo and circles data. In August, 2014, the search giant completely killed Google Authorship. Google officially announced that Authorship would no longer influence search results, so those who spent time and effort sprucing up their profile had done it in vain. Google surprised us with plenty of updates in the last year, in fact. The thing is, search algorithms come and go. That’s life on the Internet. But Google+ is still relevant because (1) it doesn’t limit you to 140 characters to be able to establish your authority and interact with a community, (2) its settings don’t threaten your privacy (we’re looking at you, Facebook), and (3) you want Google, the foremost search engine today, to find your post. First, profile photos and circle counts were dropped. Next, it was Google Authorship. But the next move for Google was something no one would’ve guessed – they split Google+ into two separate entities: Photos and Streams. This change was revealed by Google’s Bradley Horowitz in a Google+ post. So, to give a Google+ marketing guide is to give you tips that hinge on features Google will (probably) certainly keep. From TV screens to YouTube channels, videos have been used as a powerful marketing tool for decades. Businesses big and small have been harnessing this power. With the advent of YouTube, authors have been able to release book trailers and speak with their fans via vlogging. Google Hangouts, which was first introduced along with Google+, gave us a new venue to connect with an audience. From the term itself, it’s a place for hanging out; for interacting live with an audience no matter where they are in the world. With the mobile app, you can keep in touch with friends and followers at any time. Considering that Hangouts has become a marketing choice for many a business, I’m hopeful that it won’t be divorced from the new Google+. Step 1: Announce the Hangout. Post it on Google+, Facebook, Twitter or wherever your audience is. Say the exact time and date. Step 2: Create an event. Go to “Events” in the main category list and choose “Plan a Hangout”. Fill out the details and invite people. Step 3: Gather questions. You’ll be better prepared for the live chat if you have a handful of questions ready. Ask your fans to tweet you or post on Twitter using a unique hashtag. Step 4: Interact with your audience. During the session, answer their questions and reply to their comments. It’ll be like doing an ask-me-anything session. Step 5: Render the Hangout into a YouTube video after the event. This way, you can transform it into yet another video marketing tool. Make sure you have good lighting and audio quality. They will make or break your live video streaming session. Do a test run by having a Hangout with a friend. Remember, you can’t practice during the actual event. Make sure your physical setting is free of distractions, such as clutter, pets or other people. Google+ isn’t only used by Google employees. There are millions of other professionals who actively use it. It combines the best of LinkedIn and Facebook, after all. Network with other authors and join reader communities. Create circles for family, friends, acquaintances and business contacts. The social network may take a different shape and form soon, but its networking side will always remain. 1. The first step is to smarten up your profile. Upload an image and a cover photo. Write a professional and attractive headline for your bio and include links to your website and other social media profiles. Choose which circles you want your posts to be visible to. For instance, your friends probably don’t want to see unsolicited marketing messages on their feed and you don’t want to expose readers to photos of your colorful night life. 3. Engage. An interesting thing about G+ is that it’s easier for people outside your immediate circles to see your post. With Twitter, it’s hard to see what posts people reply to, and while Facebook makes this easier, only your friends can join the discussion. Comment on and +1 their feedback. When your posts get a lot of attention, you’ll be surprised at how many notifications you get in a day. Invite others to put you in their circles. Include a link to your profile on your email signature, as well as links to your other social media profiles. Photos are going to play a significant role for the new Google+ update, to what extent, nobody knows yet. Post images related to your book, genre and brand. There are countless ways to present your brand through images. Snap photos from your book tours and events. Turn quotes and blog post headlines into images. Google+ isn’t technically dying or dead. Remember this guide to use the social media platform to your advantage. Note: This post was written before Google made any definite changes or announcements to Google+. The latest updates may warrant a different set of marketing tips, which we will write about, of course. Post written and contributed by Jill Bennett, a marketing specialist of LitFire Publishing, which is based in Atlanta, Georgia, United States.